EKE-Elektroniikka Oy is one of the world's leading providers of intelligent train systems. 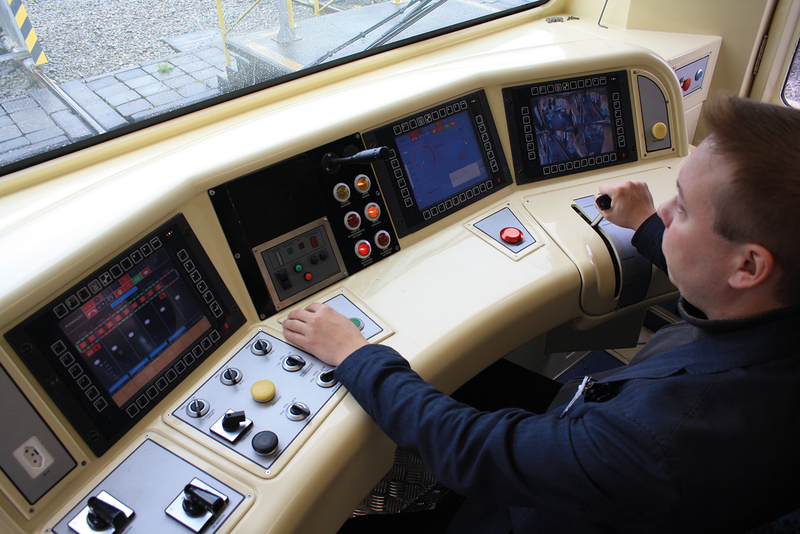 Our systems will control all train functions and collect diagnostic data for features such as maintenance purposes. Exports are the source of more than 90 per cent of our company’s turnover. We provide train computers and software solutions to both rolling stock manufacturers and train operators renewing their old stock. Our clients appreciate the know-how we have acquired on the leading technologies in the field and our ability to find the best client-specific solutions. One example of this is the extensive commuter train project in Sydney. Between 2009 and 2013, we supplied the first Ethernet-based train data system for the project. Currently, our most important projects include the Haramai high-speed train to supply to Saudi Arabia, the Singapore Metro renovation and several metro projects in China. In Finland, VR Group is one of our important clients. The train lane we provide as part of our core competencies allows the connection of wagons as a functional whole regardless of their type or age. In 2016, EKE-Elektroniikka Oy celebrated its 30th anniversary. Over the years, we have supplied train management and diagnostics systems to thirty countries. Our long working relationships in a field requiring specialised know-how, and our experience in the projects of several rolling stock manufacturers and train operators, have created a unique cluster of competences relied on by train manufacturers throughout the world. In its field, EKE’s Trainnet is an esteemed brand with global renown.